Located at the Historic Highland Park Village, the Dallas St. John Knits boutique is a part of the beautiful Mediterranean Spanish-style architecture and luxury shopping the area is known for. At Dallas St. John Knits, finding you the St. John wardrobe that best complements your lifestyle is what we’re here to do. 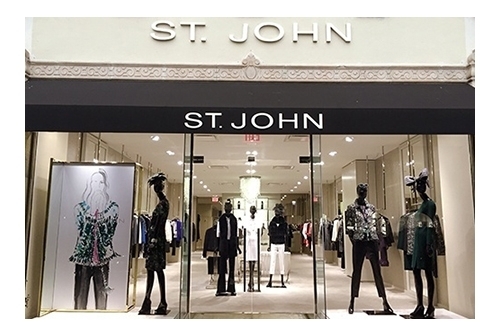 Whether you’re dressing for a luncheon or updating your vacation wardrobe, the priority of stylists at the St. John boutique in Dallas is to give a completely personalized and luxury shopping experience to our clients. Explore our additional services including alterations, in-home delivery and one-on-one fit and style consultation. Please inquire with the boutique for more information at 214-522-4194.